Debut novels are hitting home runs this year! 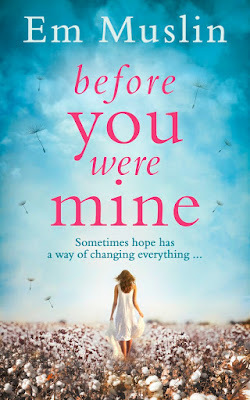 Before You Were Mine by Em Muslin seems to be on point with this trend. Romance and suspense - I'll take two please! Continue below for a quick synopsis, info about the author and stay tuned for my BLOG TOUR stop on 6/24/17. 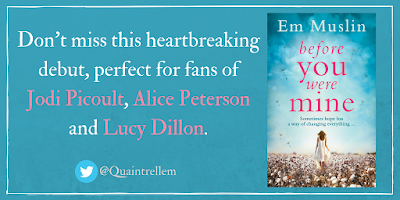 Don’t miss the breathtaking debut Before You Were Mineby Em Muslin! 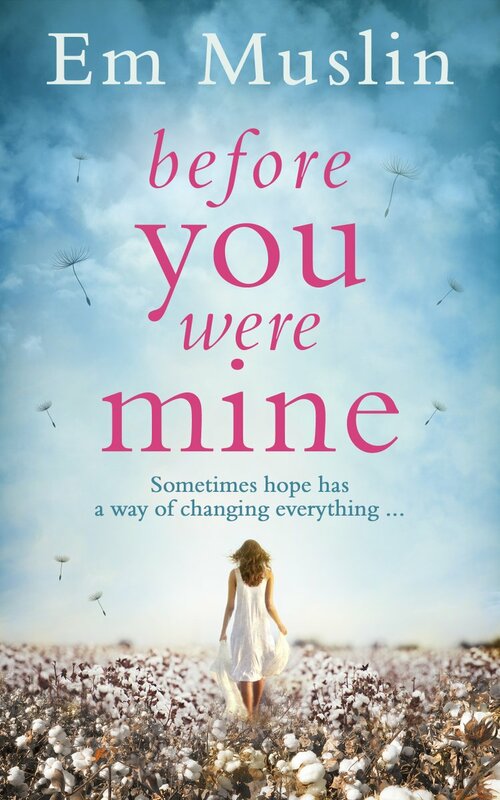 Perfect for fans of Jodi Picoult, Alice Peterson and Lucy Dillon. Em Muslin has worked in the film and television industry for over 20 years. She first fell in love with reading and writing after experiencing Judith Kerr's 'When Hitler Stole Pink Rabbit'. She hasn't stopped devouring books ever since. She loves words that capture an experience or emotion in a singular form: her current favourite, describing herself, is 'nemophilist'. Em's writing focuses on the texture of domestic life, relationships, family and the pressures of social convention. Her characters are often fighting to become the hero of their own story, searching for hope, despite the adversities that life inevitably brings.